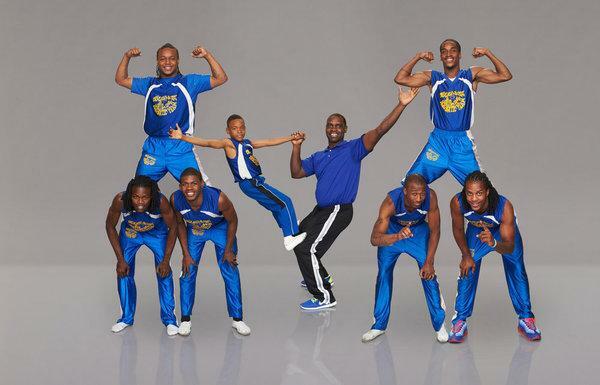 The Chicago Boyz Acrobatic Team, featured on the NBC hit reality competition series “America’s Got Talent (season 8),” is a professional gymnastics troupe consisting of talented young men and boys from the Chicago area. Chicago Boyz Acrobatic Team performances include amazing acrobatic stunts and tricks inside twirling jump ropes, catapulting off mini trampolines and thundering tumbling routines with impeccable timing. Founded in 1999 by professional gymnast Tim Shaw, these young inner city youth are taught discipline, respect, hard work, integrity and teamwork. Members must maintain a “C” average in school, are not allowed to drop out of school, associate with gangs, drugs, alcohol or tobacco. Through Tim’s positive impact, many kids have not only become professional polished gymnasts, but turned their lives around in the process. The Chicago Boyz are the highlight of special events nationwide. They have performed at NBA (regular season & playoff games) and college halftime shows, professional circuses, festivals, theme parks and schools throughout the country. Click Here To Book Us For Your Event Today! They are definitely one of the best halftime acts that I bring in each year and probably the best in the NBA. Thank you for a fantastic show of talented gymnasts. This incredible team is awesome. They were wonderful! One of Freeman Elementary’s best assemblies! Compliments abounded from staff, parents and students! This was an awesome assembly! We will definitely invite them back. Even the office staff brought chairs in to watch! 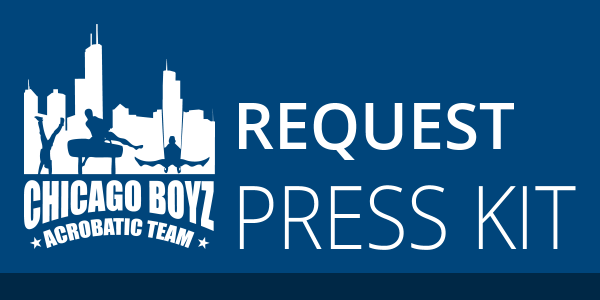 If you wish to have a copy of our press kit emailed to you, please fill out the following form.